Team Suzuki Press Office – August 19. The penultimate round of the SUZUKI ASIAN CHALLENGE series at Sentul International Circuit in Bogor, Indonesia provided close and exciting racing in the popular single-platform championship which uses the new Suzuki GSX-R150. Race 1 saw pole sitter #78 Punchana Kulrojchalalai (Thailand) take the holeshot as the lead changed at almost every corner of the race, with the riders going four-wide and five-wide on the straights. The race continued like that until the final lap when #27 Nur Alfath Sam Ahmad (Indonesia) and #1 Jefri Tosema (Indonesia) crashed out as Punchana crossed the finish line on top, making it his third consecutive win since the previous round at Suzuka Circuit in Japan. The second day of racing at the fourth round of the series, which attracted more-than 3000 Suzuki Riding Club members and 2000 machines from all over Indonesia, was just as exciting with multiple lead changes every lap and almost the whole field bunched together in one pack. 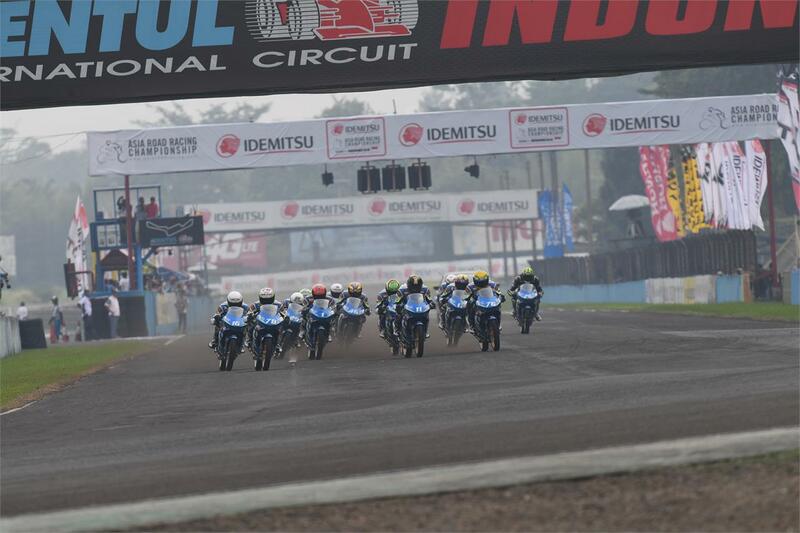 This continued until the final lap where #33 Ahamed Kadai Yaseen (India), #43 Edward Faulkhead (Australia), #22 Eane Jaye Solacito Sobretodo (Philippines), and #76 Chepy Armansyah Suryadi (Indonesia) were all at the front, but it was reigning 2016 SAC Champion Tosema who took the lead in the end. Tosema pulled away from the pack with two corners to go, and won the race, making it the first win for Team Indonesia this season. Current points leader, #78 Punchana Kulrojchalalai (Thailand) and #17 Tetsuya Fujita (Japan) made great moves at the final corner, and finished second and third respectively to fill the podium. Punchana has now extended his lead in the point standings by 33 points, with the winner decided at the final round in Thailand on December 1-3rd.